Pangeanic participated in Marie Curie’s Expert’s Winter School in Birmingham together with Dublin City University, represented by Prof Qun Li, on “Approaches to Hybrid Machine Translation“. 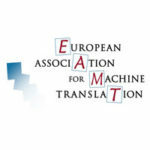 The presentation provided data on PangeaMT’s technology and hybridation efforts particularly applicable to distant languages such as Japanese and English as reported in the Journal of the Asian Association for Machine Translation. Training through research based on the set of sub-programmes outlined below. Creating a large and diverse research community focused on a common goal. Exploiting intersectoral and transnational mobility via secondments and shorter visits to both industrial and academic partners. Local training in core research and complementary skills within both academic and industrial environments. Network-wide training in core research areas and complementary skills. Pangeanic will be a proud co-organizer of the second event, which will take place late spring 2014. The event will be hosted at Dublin City University, Ireland. 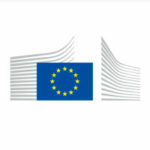 The network-wide training events are also open (free of charge) to other researchers, students and employees of the institutions in the consortium. Additionally, the events will be open (free of charge) to a number of participants from outside the consortium, who will be selected based on their CVs and motivation to engage with research in the field. The table below provides an overview of the training milestones of the project.